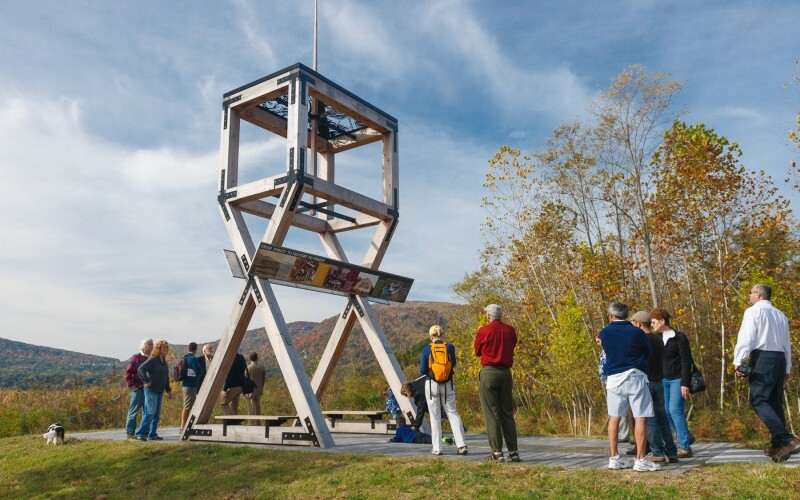 The West Point Foundry Preserve (WPFP) project transformed 87 acres of former industrial land into an outdoor museum and heritage destination. From 1818 to 1911 West Point Foundry was a technological powerhouse, one of America's most innovative and productive ironworks. It manufactured Parrott guns—cannons so critical to the Union's victory in the Civil War that President Lincoln visited the foundry in 1862—as well as steam engines and mill equipment that sparked the Industrial Revolution. WPFP includes a former EPA Superfund cleanup site that was delisted in 1996 and is now a restored tidal marsh again supporting wildlife. WPFP brings vividly to life the history of the site and its renewed landscape. Visitors of all abilities can experience WPFP by following foundry workers' footpaths and rail lines that connected foundry operations. 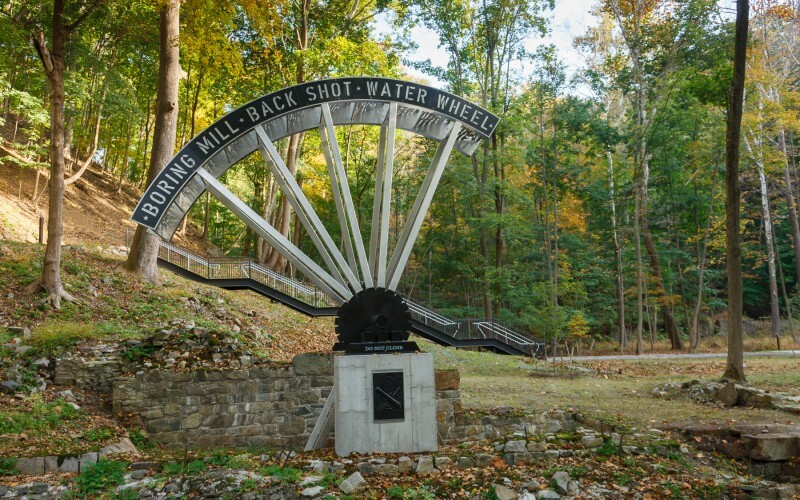 The centerpiece of the preserve - located in a now-tranquil ravine - is a sculptural interpretation of the boring mill’s 36-foot waterwheel in its original location. 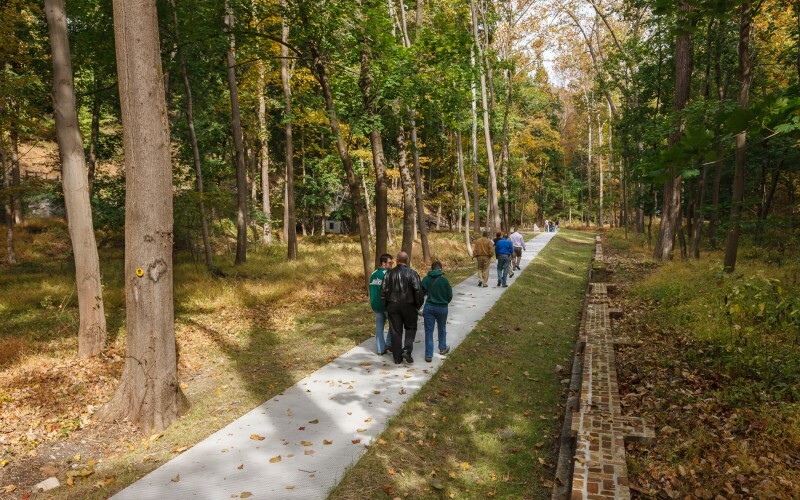 Eight years of archaeological study and input from a community advisory group enabled the design team to develop a sensitive plan for public access, habitat restoration, historic preservation and interpretation. WPFP is listed on the National Register of Historic Places and is a Preserve America site. photo by: Robert Rodriguez, Jr.